Come as you are. We dress casual (flip flops, shorts or your Sunday best, whatever you prefer). 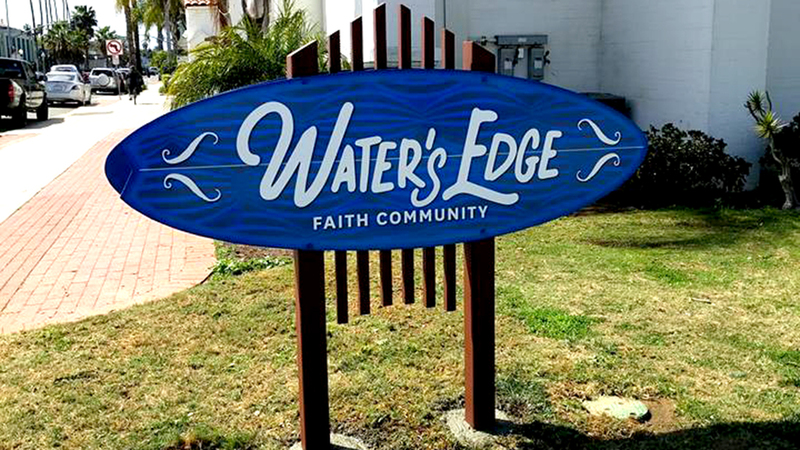 Our hope is that you will experience the Water's Edge as a welcoming and inclusive community of faith. No matter who you are, where you have been, or where you are going, the Water's Edge can be a place where you discover God's love and grace alive and new each day. We have made special arrangements for those joining us for the first time. Parking is reserved for first-time guests, those needing handicapped parking, and families with small children. A small parking lot is accessible via the alley next to the church between Saratoga Ave. and Santa Monica Ave. Street parking is also availble in this walkable neighborhood. Make sure to stop by the welcome table by the sidewalk off Sunset Cliffs Blvd. as you make your way into the Sanctuary and/or through the courtyard where coffee is available before, during, and after worship. Children at Water's Edge are always welcome to join their families in worship. 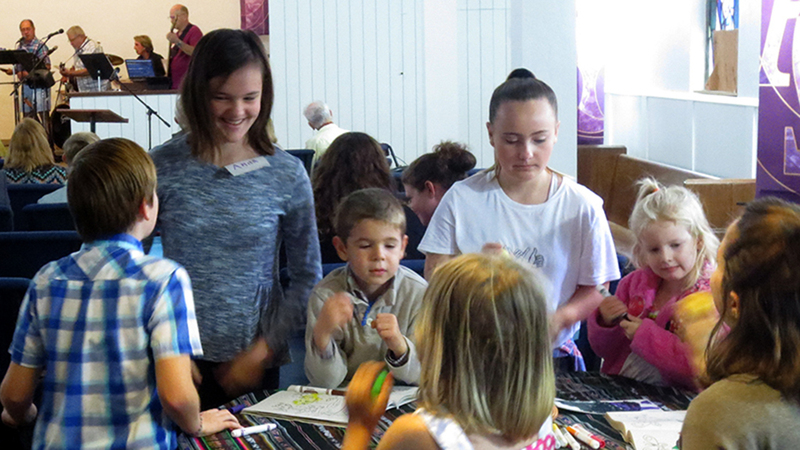 As you enter the sanctuary you will find a kids table with activities. Later in the service we invite children age 4 through 5th grade to participate in the Sunday School. Childcare is available for the youngest age 0 - 3. 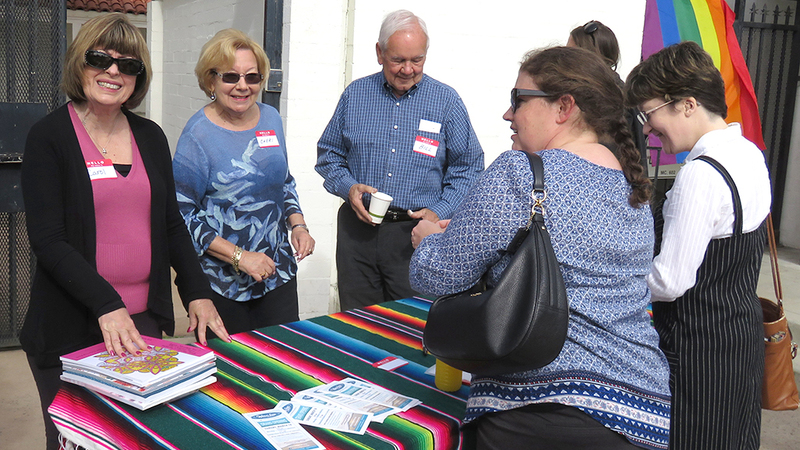 After worship each week, we gather in the courtyard to enjoy the sunshine, coffee, and one another's company. 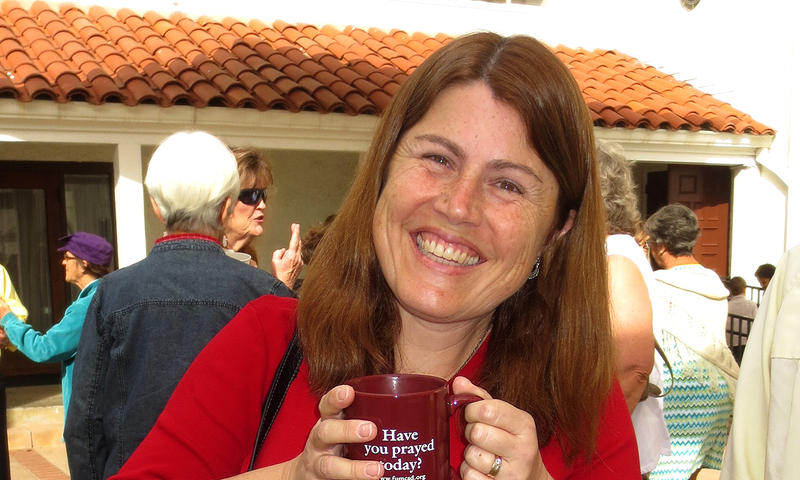 We hope you'll take time to visit and connect with someone new! This is a great time to catch up with others in our faith community. We always look forward to seeing you again next Sunday!